Green, environmentally friendly, durable, circulated, vented, heat-dissipating, easy to install and disassemble, evenly distributes light, making the space spacious and bright. 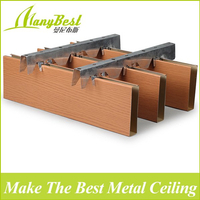 Aluminum baffle ceiling with a wider field of view, ventilation and ventilation, adjust the airflow, replace the fresh air, and make the space full of vitality. 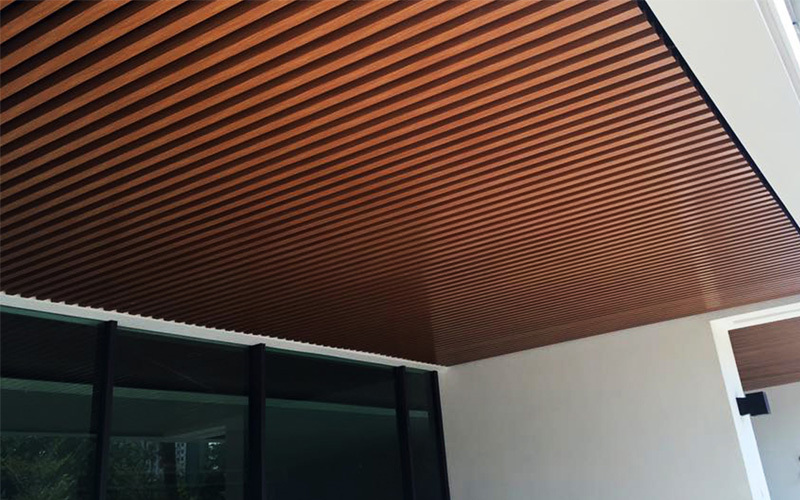 The visual effect is good, the grain pattern is clear, the texture lines are good, the effect is realistic, and the natural feeling is close. 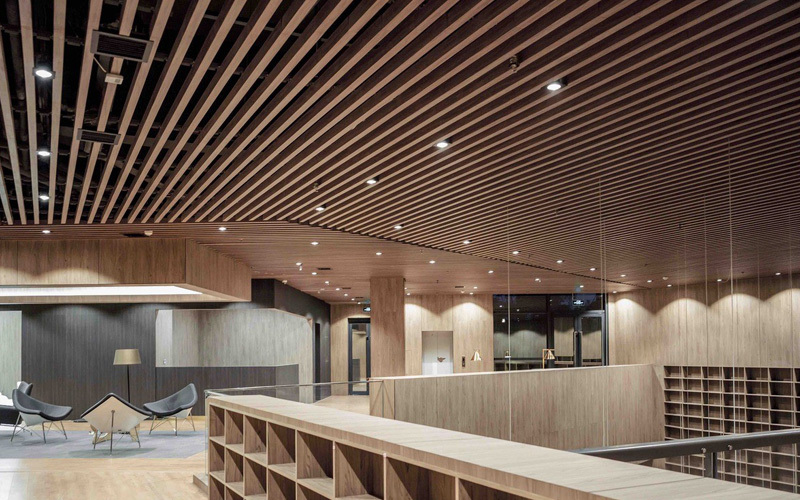 As a visual effect, the lines are smooth, the curvature is beautiful, the shape is unique, and it matches the interior decoration. Colorful, artistic effects, exquisite craftsmanship, pursuit of perfection, the pursuit of high quality quality living space. 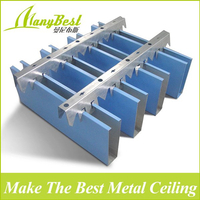 Aluminum baffle ceiling is particularly good as a mighty warrior if it is installed neatly in a row. 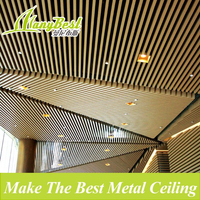 If the grooved aluminum baffle ceiling is fitted with a wave-like shape, it is as majestic as the sea. 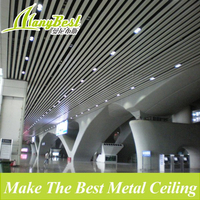 In a nutshell, the aluminum baffle ceiling is unconventional, elegant and full of modern atmosphere. 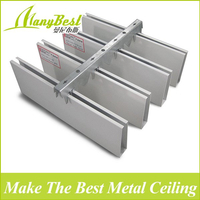 The aluminum baffle ceiling can be installed with different heights and spacings. It can be designed with different heights and lows. It can be designed with different colors and colors, which makes the design ever-changing and can design different decorative effects. 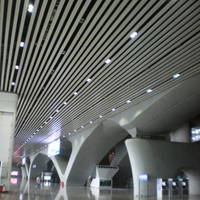 At the same time, since the aluminum baffle ceiling is transparent, the luminaire, air conditioning system and fire fighting equipment can be placed in the ceiling to achieve the same perfect visual effect. 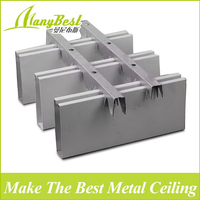 The aluminum baffle ceiling is easy to install and the maintenance is also very convenient, because each The aluminum baffle ceiling product is self-contained and can be installed and removed at will, requiring no special tools for easy maintenance and service. 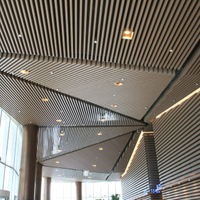 Aluminum baffle ceiling appearance quality flatness is not high, it looks partial concave and convex, flat flatness is high, but aluminum baffle ceiling processing shape is limited; but can be processed into various irregular shapes; spray roller coating quality eye quality Good, chromatic aberration and film thickness error, because the artificial skills are unstable, some of the chromatic aberration is not obvious, but the damage is not partially repaired. And film thickness error; partial damage can be repaired. 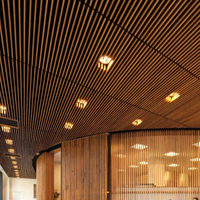 The layers are distinct, beautiful and generous, the lines are simple, durable, good ventilation, sensitive to assembly and disassembly, can adjust the visual height according to user needs, and is conducive to the space lighting effect and fire sprinkler, air conditioning series and other equipment.